Congratulations to B-L Middle School sixth grader Maddox Long on being named the Greater Cayce West Columbia Chamber of Commerce’s 2018 Student Volunteer of the Year. 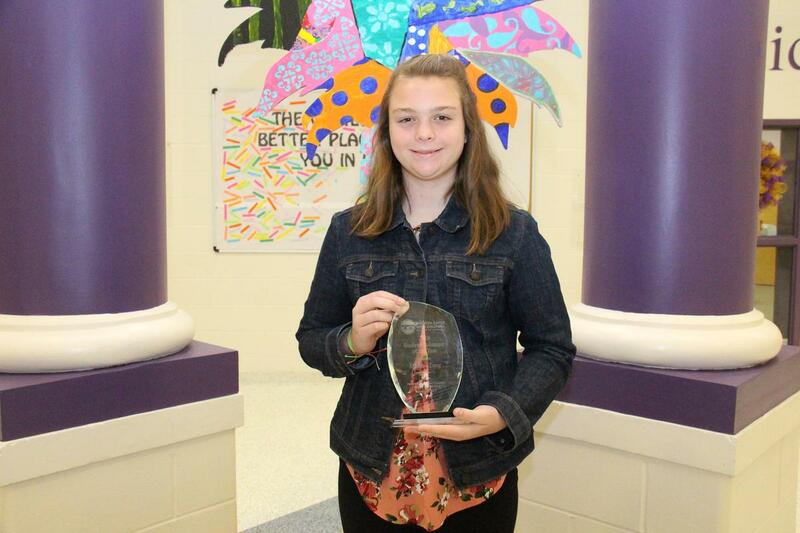 Congratulations to B-L Middle School sixth grader Maddox Long on being named the Greater Cayce West Columbia Chamber of Commerce’s 2018 Student Volunteer of the Year. Maddox was presented her award on January 15th during the chamber’s annual awards dinner that was held at Still Hopes Retirement Center. Maddox is an honor roll student and is in the gifted and talented program at B-L Middle School. She plays softball for a Cayce-based travel ball team called the 12U Generation Seahawks. She was honored to be on the 10U Seahawks’ national team in 2018. Maddox attends Steadman Baptist Church where she is very involved with the church’s youth group. She also enjoys being outdoors and loves dove hunting with her mom. Maddox assisted with several of the Rhythm on the River events that were hosted by the Greater Cayce West Columbia Chamber of Commerce. Some of the duties that she helped with included being a VIP sponsor check in, serving food and collecting zip codes from event attendees. The chamber team noticed that she handled all of these tasks with a smile on her face, a great attitude and excellent customer service skills.